Tenants should watch carefully to detect how and to what extent your field of options changes. 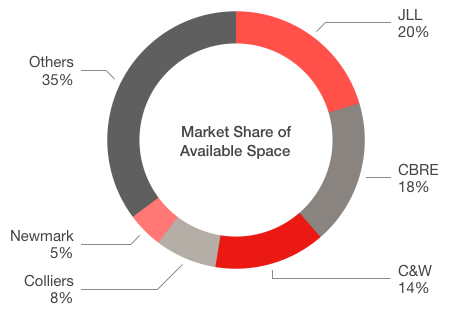 Which size blocks of space are getting leased? 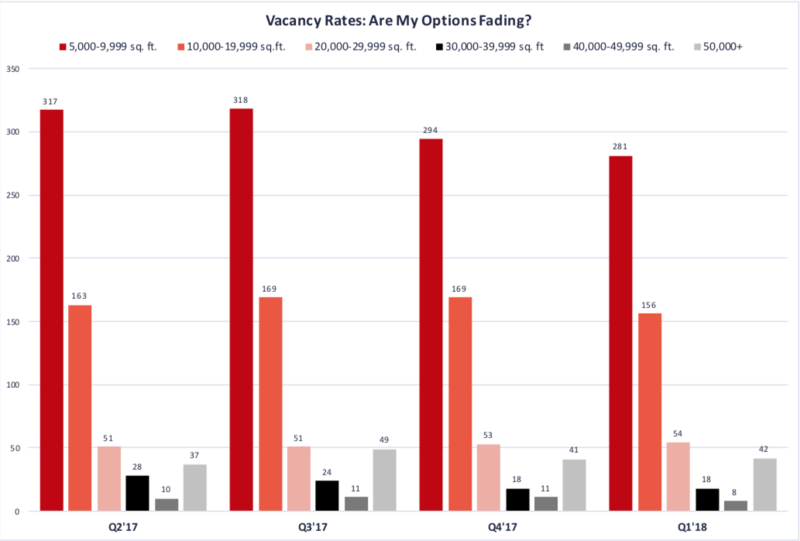 Discussing vacancy and absorption rates can be confusing to some. What language makes sense to tenants? Tenants ask, “Tell me about my specific options. 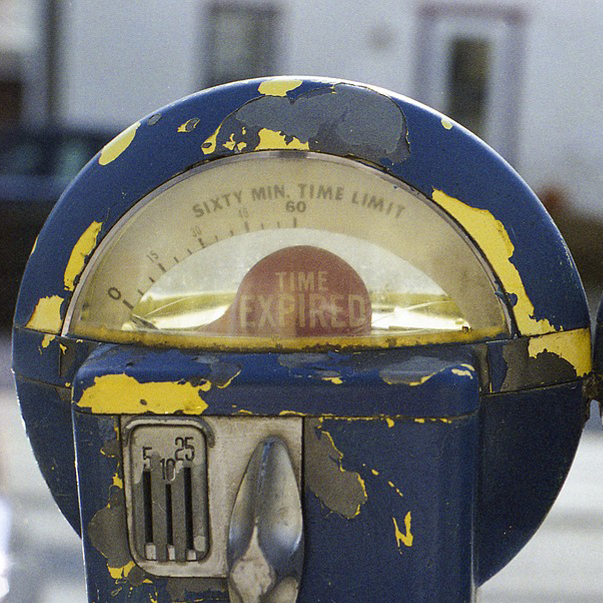 How many choices do I have?” Are your options fading, as a result of leasing activity? Review the chart and let’s discuss. When we approach a prospective new tenant client, we tell them that we NEVER represent landlords, always avoiding this conflict of interest. So, which of our competitors—leasing firms—do the most landlord representation? Who’s marketing 78% of the space in San Francisco? These brokerage firms control over 78% of all listings and are beholden to more than 440 local landlords, paid to drive up rental rates and drive down concessions for tenants. After reading through this Market Editorial, please see our collection of educational articles we’ve written for our tenant community. It’s the fastest, most collaborative, fool-proof way to speed through deal-making and get it right the first time. No surprises. No mistakes. The shortest distance to decisions and closed deals. Try it FREE. Griddig improves the entire industry’s performance. 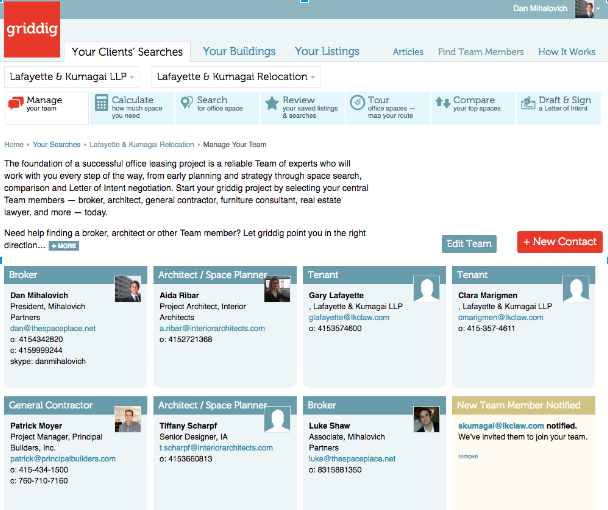 Join Landlords, Tenants, Brokers and Service Providers in the LIVE MARKETPLACE and start your next deal today. We believe that representing tenants – and only tenants – is a noble cause, our specialty for over thirty years. We greatly appreciate our clients’ confidence and kind words about us, our level of advocacy and enthusiasm to negotiate aggressively ….. and mind the details while guiding the leasing process. Thank you!